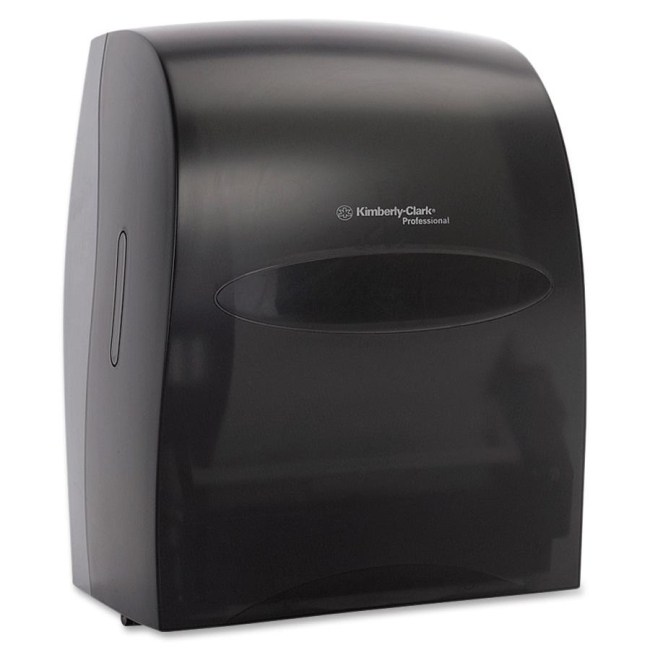 Touchless Towel Dispenser is a no-touch electronic hardroll towel system. Uses four standard alkaline batteries. Cover lock with key. Automatically advances a 12" towel when a hand is placed under the front of dispenser. 6 to 12 month battery life. Meets EPA standards with a minimum of 40 percent post-consumer waste.